I would like to receive occasional information and updates from WriteClub and jumblebee. This drop-in session is ideal for recharging and kickstarting your writing ideas. Come and get words flowing, work through blocks, discover fresh projects and generally enjoy writing in the company of some damn fine writerly companions. We'll guide you through some fabulously devised activities that will connect you to your creative process and help that ink to find its way to the page. 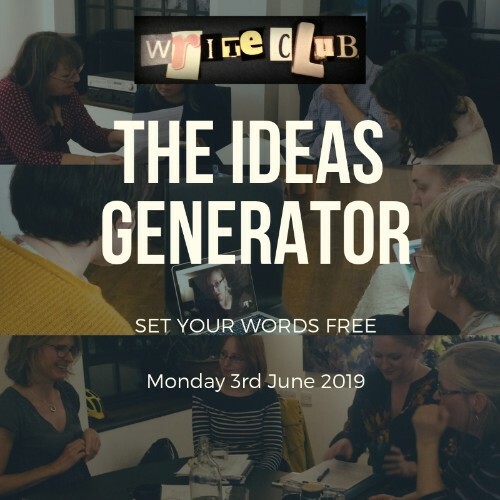 Whether you're a regular writer in need of a boost, or you haven't written anything for ages, but know there are words that need to be released, join us for this super-charged, mega-writing-blast. Tickets are non-refundable, except if the event is cancelled by order of the event management. A printed or electronic version of the ticket is required for entry. Tickets may not be copied or printed more than once. Each ticket is numbered and has a unique QR code. Entry will refused for duplicate tickets. If you are unable to make it, do contact us on hellowriteclub@gmail.com. We can then contact our waiting list! Please: (1) provide a contact phone number in case we need to reach you on the day of the event (your number won't be used for marketing purposes - only to contact you about this event), and (2) let us know where you heard about us!